Hoplophiles and 2A enthusiasts sometimes like to insist that guns are "just tools", but why isn't there a well established blogosphere discussing and debating the finer points of power drills or crochet hooks? My wife scrapbooks. You'd be shocked at the level of detail some people go into about adhesives and brads on their blogs. Because drills and crochet hooks are boring. Oh come on. I know these blogs exist, but it's hardly the same thing. Power drivers don't screw people. People screw people. Google search for "drills" 16 million results. Google search for "hammers" 10.9 million results. Google search for "crochet hooks" 387 thousand results. Google search for "scrapbooks" 6 million results. Google search for "guns" 91.8 million results. Guns are tools, no doubt, but I think they are more than just tools. Some tools are more fun than others. 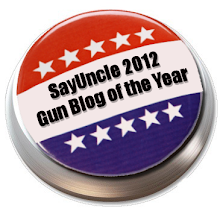 Not to mention gunbloggers are a fun & interesting group. I'm not sure if that'd be the case for folks blogging about their favorite Craftsman power drill. I can't really do anything fun or challenging with a hammer, crowbar, or belt sander. Guns give you instant feedback. Loud bang, recoil, hole in paper. There's also one key difference between guns and other tools. Yes, guns are tools, but they're also more than that. They're a symbol of individualism, liberty and the American spirit in a way that Crochet Hooks can never be. Anyone actively working to ban power tools? Maybe they should. I could kill someone quite efficiently with a hammer or a chainsaw. Or even a crochet hook, given enough incentive. I think perhaps the discussion depends upon multiplicity of types of an item as well as the historicity. With guns, you have varied manufacturers and within a specific manufacturer there are various calibers--each with their pros and cons--discussions. There's also a use issue--target, hunting, etc. which promulgate discussion. And there's the ammunition discussions--what works best in a particular manufacturer/caliber. Additionally, there is the historical aspect since they've been around a while so collectors would have their discussions as well. There's not that many manufacturers of power drills or crochet hooks nor are there really multiple uses. There might be some historical discussions on crochet hooks or knitting needles but it would be a specialized group. Bows seem to have a large number of discussion boards with much the same crossover--manufacturer, lever action vs compound, carbon fiber arrows vs metal, the best heads or tips for a particular use, etc. Then let's ban cars. Lots of car blogs too. Oh, and I forget the political side--thanks for the reminder SayUncle! Our right to use a power saw is not enumerated in a document bled over by our ancestors. Cordless nail guns are not nearly so efficient as hi-capacity rifles in the overthrow of tyranny. Rarely will you hear about a criminal going into a convenience store and threatening a clerk with a spade bit drill. It's quite difficult to hunt deer with a stud finder. I am on the internet because of antique woodworking tools. And there was a metric shite tonne of that out there way back in 1996. Not blogs, per se, as they predate the phenomena, but user groups, list serves, and homemade websites. Ahh, the finer points of a Miller Falls Parsons Bit Brace. Sexay! There is indeed a blogosphere debating "the finer points of crochet hooks"; Ravelry, a knitting and crocheting website/discussion board has a million signed up users and counting, and debates on the best sort of needle for particular yarns or projects happen frequently, and run to pages. There is also a very vibrant knitting blogosphere outside Ravelry - a recommendation by The Yarn Harlot blog can crash a website under the force of hits. The discussions about the finer points of Glock vs. 1911 or whatever remind me a lot of the old debates between the Massey Ferguson farmers and the John Deere farmers. Or the discussions I hear from people who use lawn tools for a living over Cub Cadet, John Deere, Stihl, or Husqvarna. The discussions are out there. There are nit-picking arguments in any area. I have one of these and it is fun to use. I blogged about it a long time ago when I was still on LJ. There are several issues at hand here. C Don't give me this “I am the weapon” shtick. That was a bunch of “clever” crap hollywierd made up because the PSH crowd thinks weapons have a desire to kill/harm/etc of their own. But, those beliefs, erroneous as they are, have a real effort on the appeal of weapons. 1 Collection; owning for its own sake, historically connection etc. 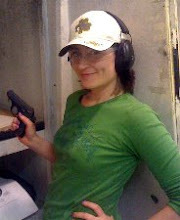 2 Target shooting; plinking, action pistol, bullseye, long-range, etc. 3 Hunting; food, trophies, population control, outdoorsmanship, etc. The above are the “sport uses” of guns. 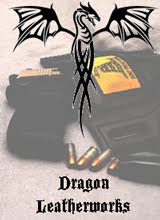 4 Personal defense/combat; protecting yourself, or others on an individual basis. One example: shooting a dog that is about to attack your neighbor's kid. 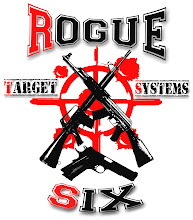 5 Collective defense/combat; protecting your community, or a group of people. The tv show “A-Team” has many fictional examples. “Hurricane Katrina” provided many real-life examples. And there is the war of 1775. E There are psychological reasons involving feelings of Power, Control, and Security that the above five values provide. An awful lot depends on the popularity, modibility (word? ), and coolness of the tool in question. Also how broad the interest in the tool is. A spoon is a tool. There is a subset of people devoted to collecting them. They write about them, post pictures, etc. Insert the word car in place of spoon and your numbers grow by quite a bit. 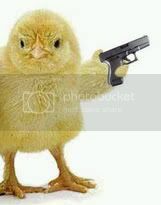 Same thing with gun. Ditto Robb Allen. There are tons of enthusiast sites and forums for craftsmen. Woodworkers, metalworkers, machinists, home repair guys, etc. They all have forums and websites where they discuss tools and projects. The big difference is that the gun community is often more about the tools instead of about what the tools do. Woodworkers are doing woodworking so they'll have some tool threads on their forums, but they won't be solely about the tools themselves. I think its in the syntax. Guns are both a tool and a hobby, with the word gun being used interchangeably. drills are a tool, where the hobby might be woodworking, metalworking, or maybe even working on cars. And speaking of non-gunny-but-tool-related communities, I think it might be safe to say that "Instructables", by its very own lonesome, puts every gunblog to shame... collectively. Why would anyone need a car that goes 170mph? Only the police need that. Why would anyone want a car that can drive off the roads? Only rescue workers need that. Why would you need to be able to fix your own car? Call someone if you break down. "but why isn't there a well established blogosphere discussing and debating the finer points of power drills or crochet hooks? " For all I know there might be. "Massey Ferguson farmers and the John Deere farmers." My Dad has a Massey-Harris, so there! It's older than I am. Check out Yuku forums, The Wagon, and some of the cross stitch boards. My ex-wife and her friends were fanatical. I cringe now thinking about the roughly 100K she spent on that stuff over ten years and the guns I could have bought. The debate between piecemaker needles and james someone or other needles looked like the 9mm/.45 battle! On my old blog before I deleted it (crazy ex husband enough said) there was a huge crazy debate about crochet hooks. I have a woman who still hates me to this day because I would not bend to her Bamboo hooks are the best jag. I think that might be because I told her she could shove her hooks somewhere not so, polite. I also had another woman get mad at me for not being against plastic hooks for the sake of the earth but, because my dog ate a whole set of them in less than a minute. I don't even want to talk about knitting and sewing debates. Than there is the proper way for jewelry. However, no one is trying to ban those things except that one chick wanted to ban plastic anything. Guns are more fun to talk about I think but,to each their own. However, I do love riling up my mom on the great debate of knitting vs crochet it makes for a fun week =). I knit and crochet. Also like Gwenynen said there are some heated discussions on Ravelry and some on craftsters.org on crafts. Any bets on the ratio of tech blogs to gun blogs? 10,000:1? Higher? This Old House and Home Improvement. If John Moses Browning (pbuh) had made a drill, rest assured there would be forums (fora?) about it. there probably wouldn't be that many more dedicated gun blogs & fora than there are for, say, SLR Cameras, <a href="http://www.candlepowerforums.com>flashlights</a>, Cars, Stereo equipment, or Computer hardware. First off shooting is a sport and practical activity. Tools of any type are simply tools. You will find blogs dedicated solely to the history of tools, and certain brands of tools. But you will find a network of "gunbloggers" who SHOOT. The same you find networks of people who volunteer for Habitat for Humanity. It is the user experience that unites gun bloggers. That is something that other power tools don't really have. There are lumberjack competitions but largely there are no organized sport organized around construction tools. But Practical Pistol, Tactical Rifle, 3 Gun, High Power, Benchrest, Palma, Appleseed, Carbine Classes, all have their little place in our world of gun blogging. We are united by activity, same as bowlers or mountain bikers, but also united because bigotted hoplophobes want to destroy our way of life.